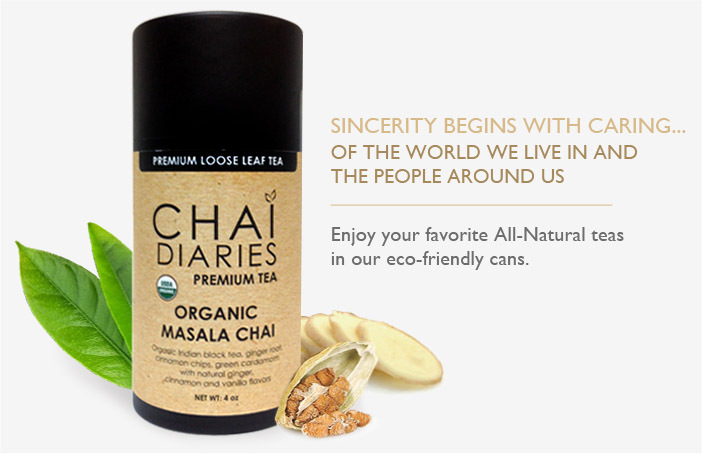 Recently at the Coffee & Tea Festival NYC, I came across Chai Diaries, a new brand of teas focusing on directly sourced, all natural premium teas and herbal blends. 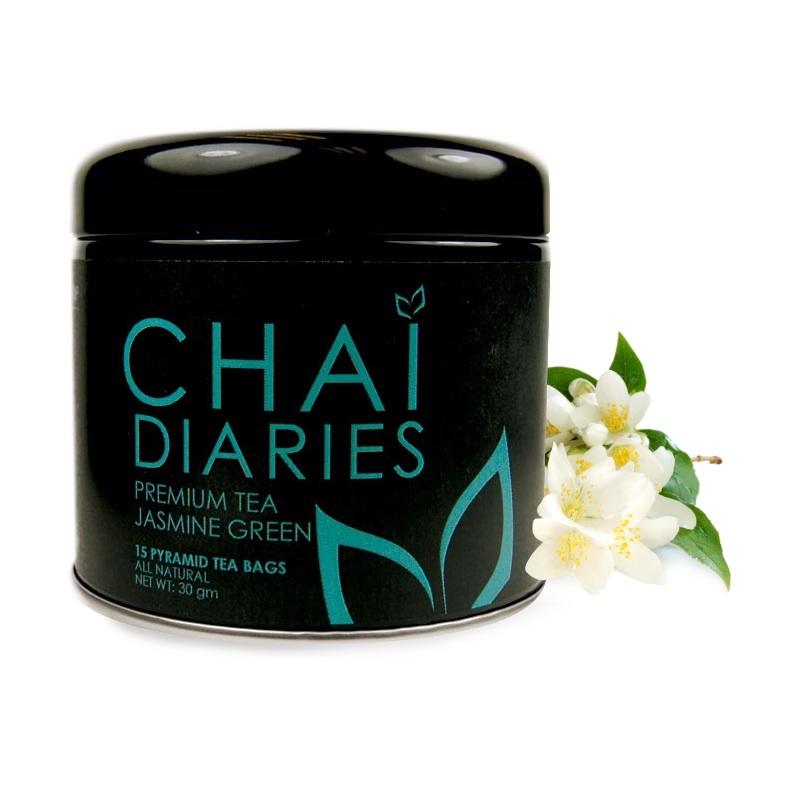 Chai Diaries is a blend of the Indian beloved word “chai” (generic for tea) and the sincere emotions associated with writing a diary. The company is based in New York, with shipping and distribution offices in Los Angeles. The teas are purchased at source from around the world. They offer over 45 different types of teas. They also have specialty blends using selected teas, from black teas to green teas, as well as rooibos as a base tea, and all natural fruits and botanical extracts and flavors. Organic and Kosher teas are also available. The Coconut Chai and the Chocolate Chai sounds fantastic. With each tea, they also provide you with the suggested amount, temperature, and steeping time. 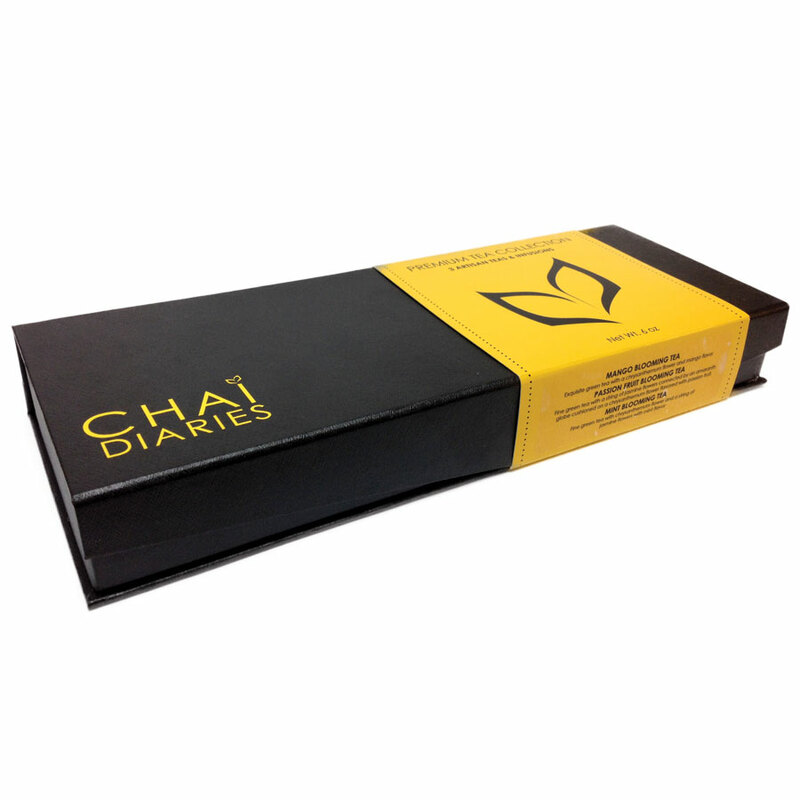 Teas are available in biodegradable pyramid tea bags as well as loose leaf. They also have reusable tins, eco-friendly paper cans, and gourmet travel-friendly display boxes for your storage and gift packaging needs. Check out their selections.